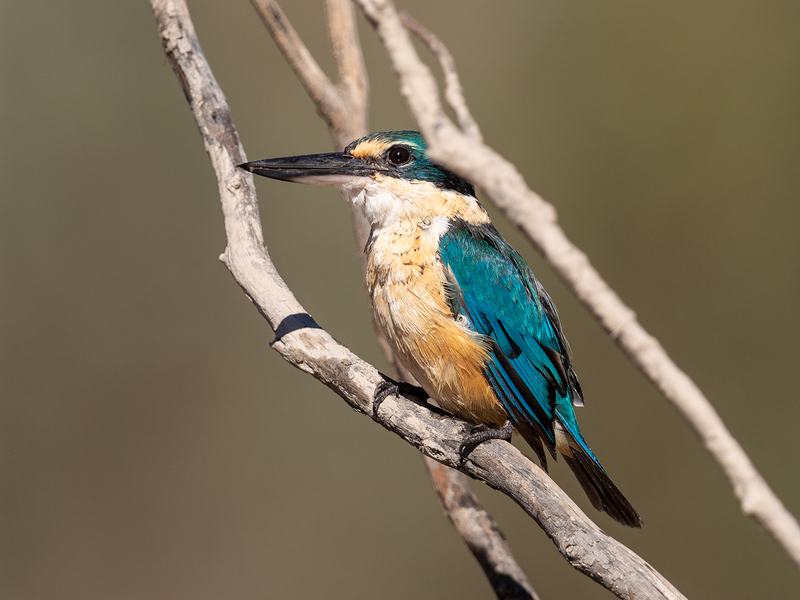 Chris Tzaros and I have just completed another set of bird photography workshops (#29 & #30), with a great group of participants – some local, others from as far afield as Canberra, Adelaide and Newcastle. 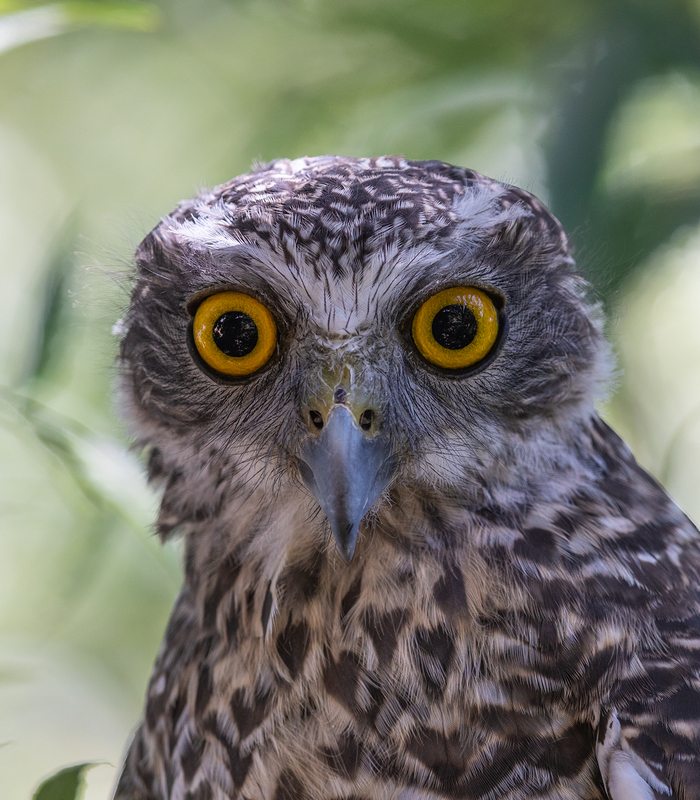 It was terrific to spend time with keen and experienced folks … birders and photographers, in the bush around Newstead. 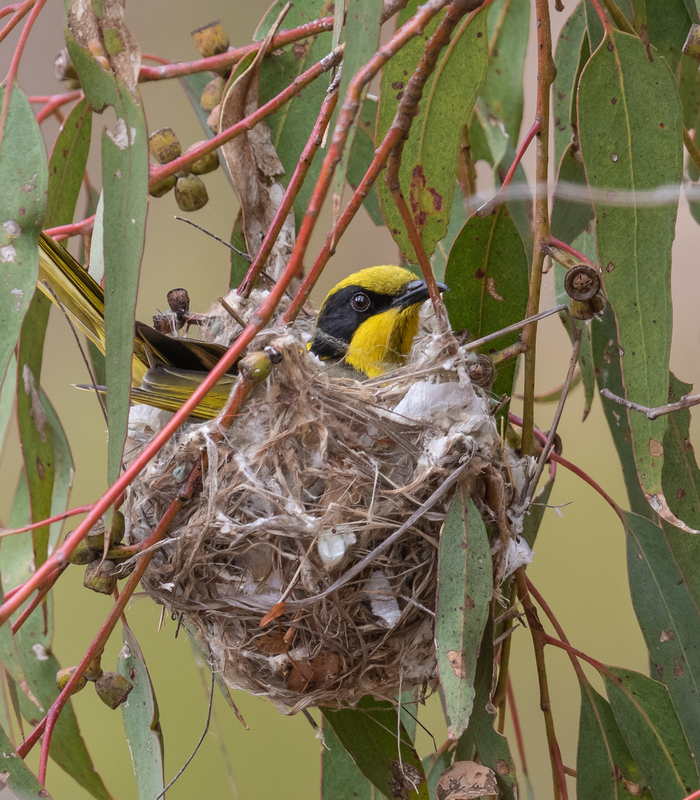 A highlight for all was this active Yellow-tufted Honeyeater nest in the Rise and Shine. 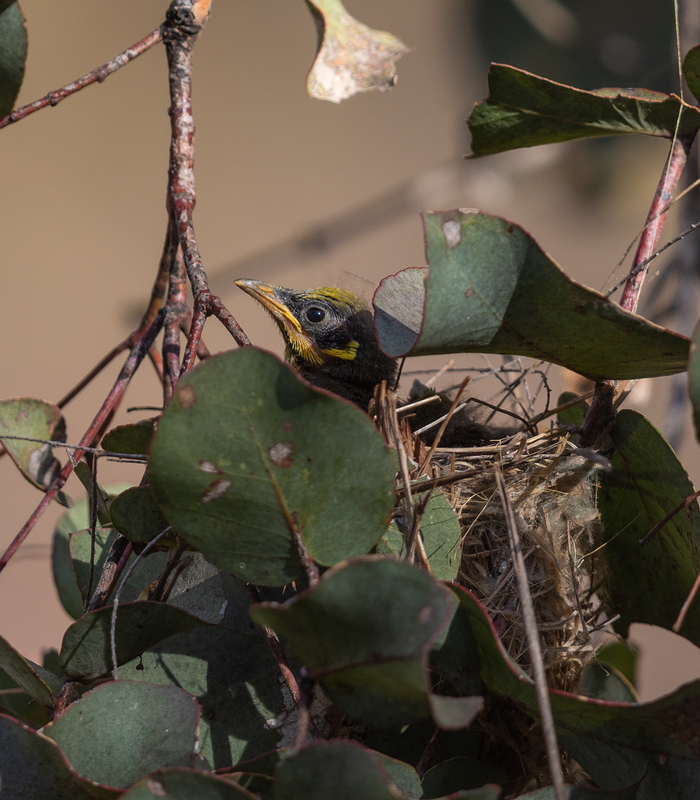 Two well-grown nestlings were being fed with lerp and insects at regular intervals by the adults. 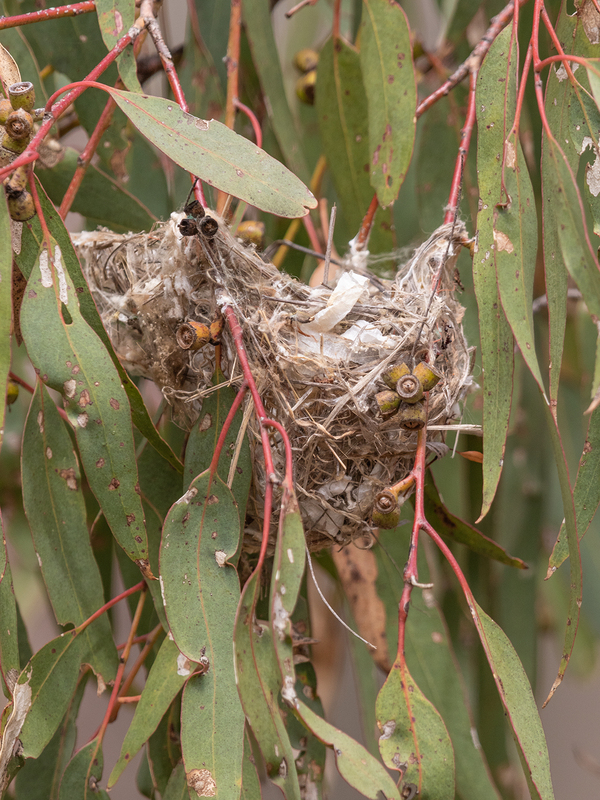 Perhaps the birds have some advance notice of a bountiful autumn? 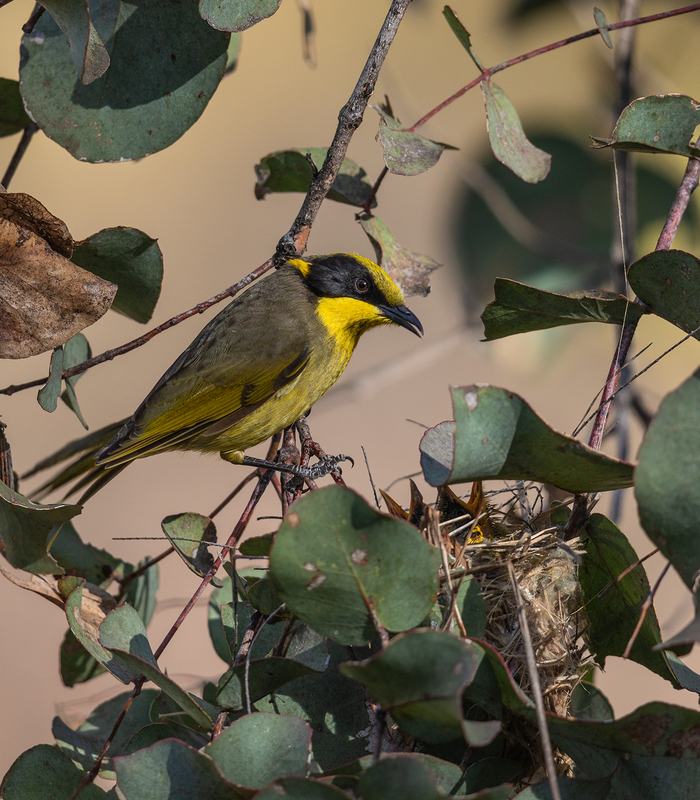 I found this Yellow-tufted Honeyeater putting the finishing touches on a nest in a sapling Long-leaved Box, yesterday in the Rise and Shine. 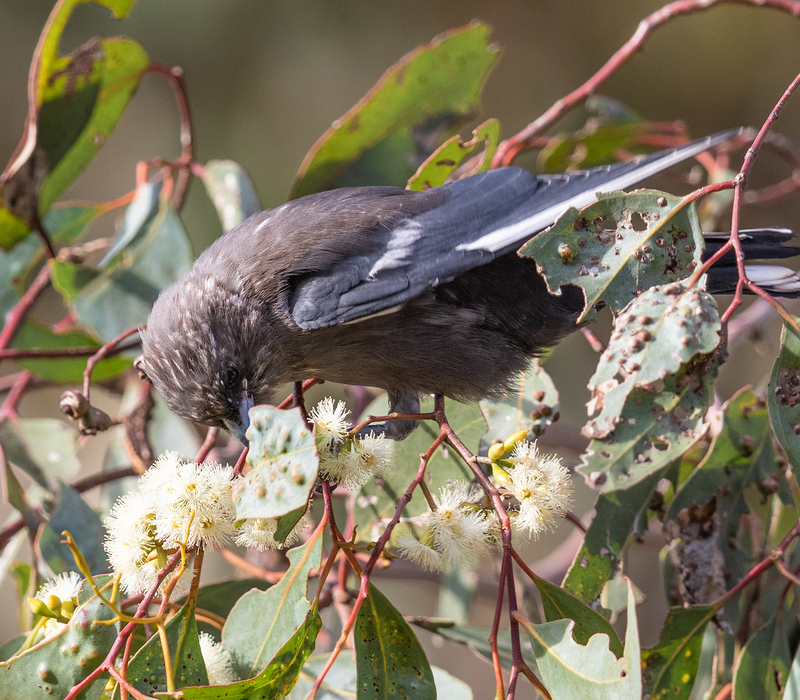 Apart from flowering Grey Box there is not much on offer in the bush at present, but clearly the honeyeaters think the prospects are good. 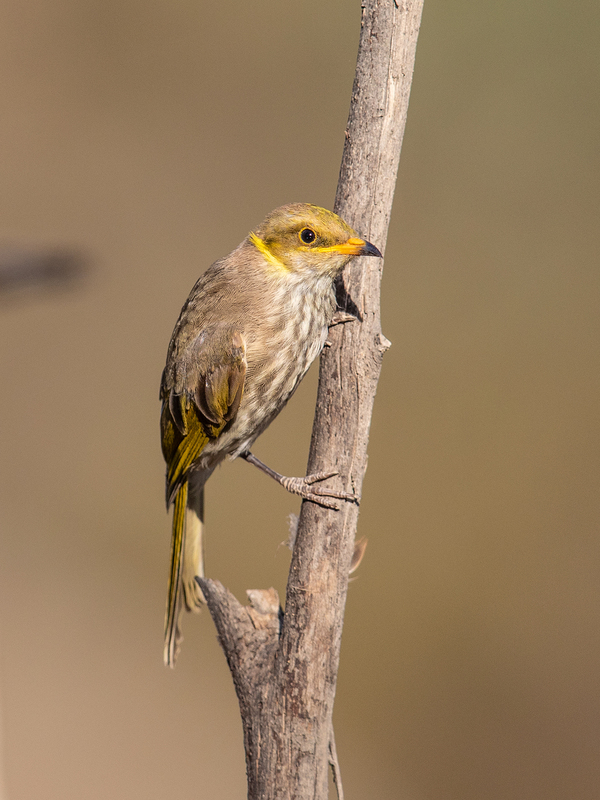 A few days ago, while observing along South German Track a small honeyeater alighted immediately in front of me and then departed just as I was about to fire. 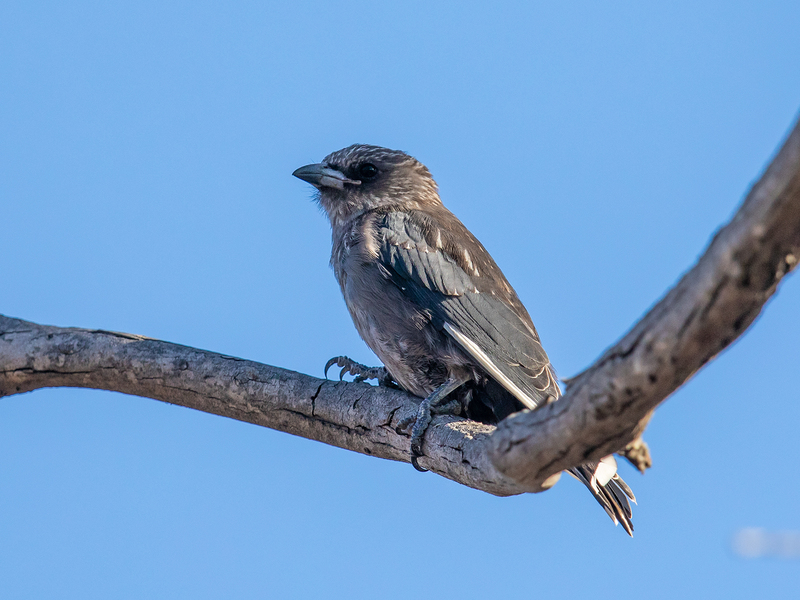 It was a juvenile Black Honeyeater Sugamel nigrum. 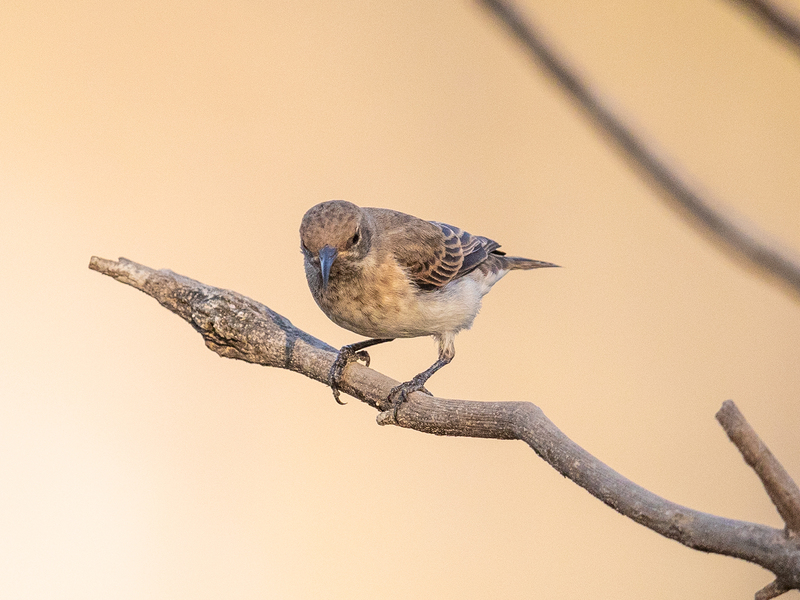 Last night I was rewarded, as another juvenile lingered just long enough for me to capture some decent images. 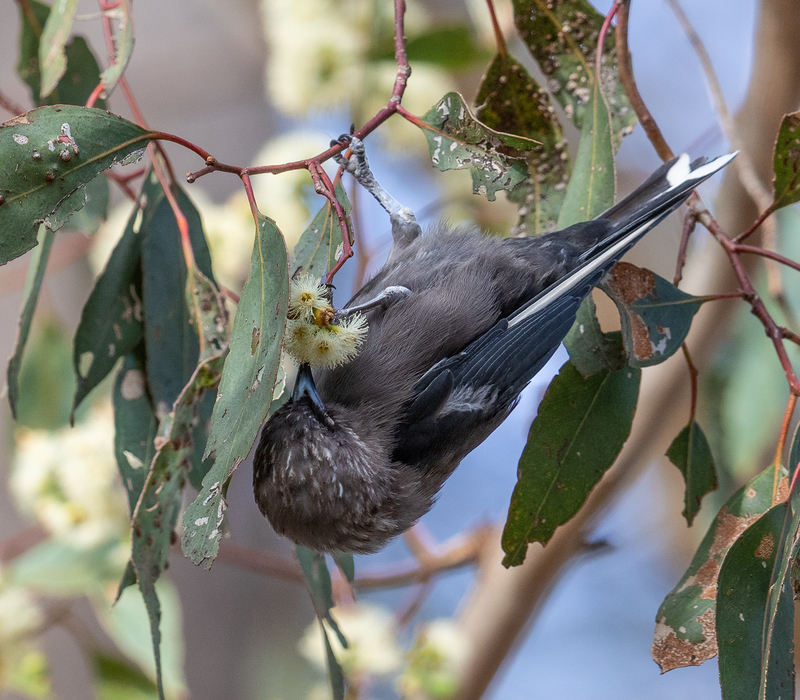 It appears the flowering Grey Box has attracted these wandering blossom nomads and I observed a number foraging high in the canopy around the dam, including a number of adult males. 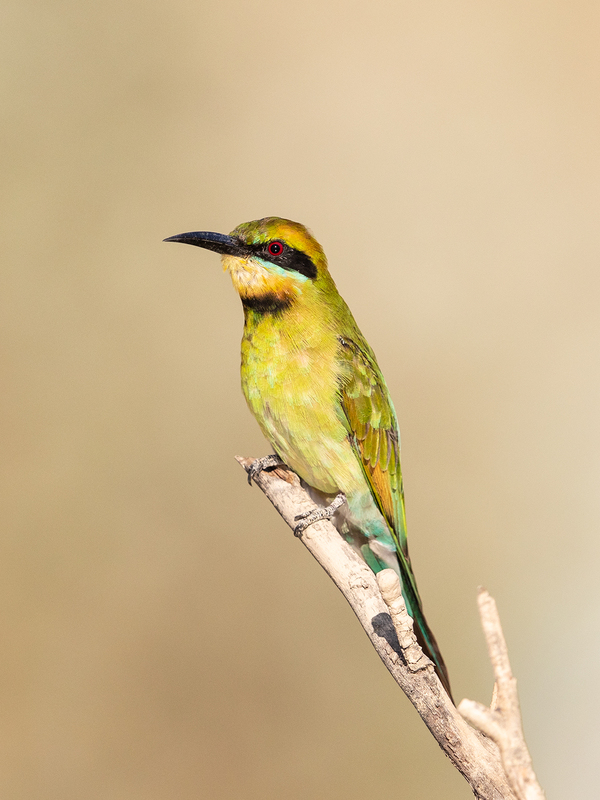 The last time I observed this species locally was nearly a decade ago – 15th February 2010. 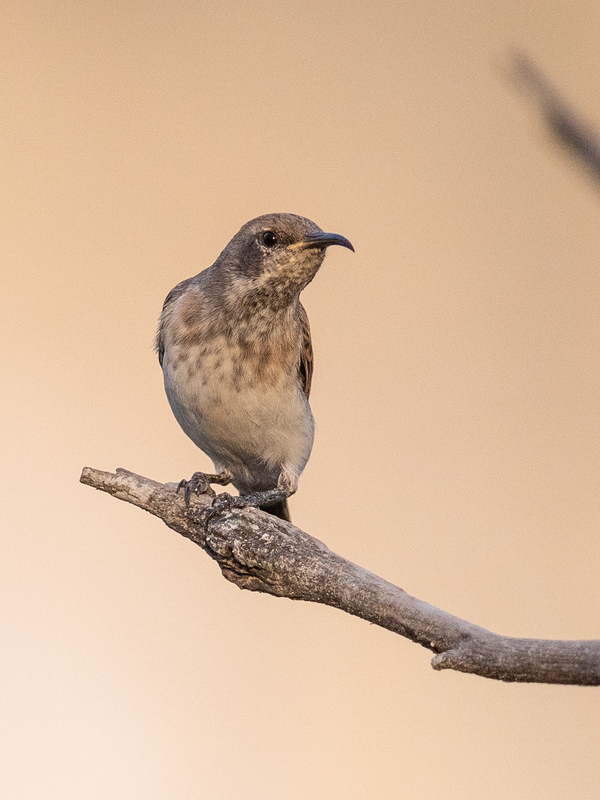 Black Honeyeaters are dry country birds, even more so than the Yellow-plumed Honeyeaters that are also about at present. 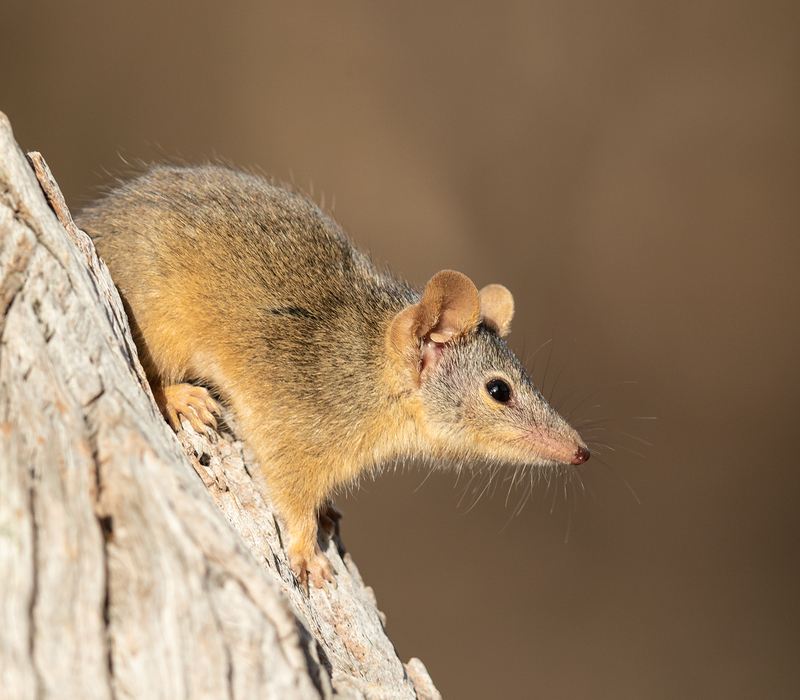 They prefer arid and semi-arid woodlands, especially where there are Eremophila species flowering. 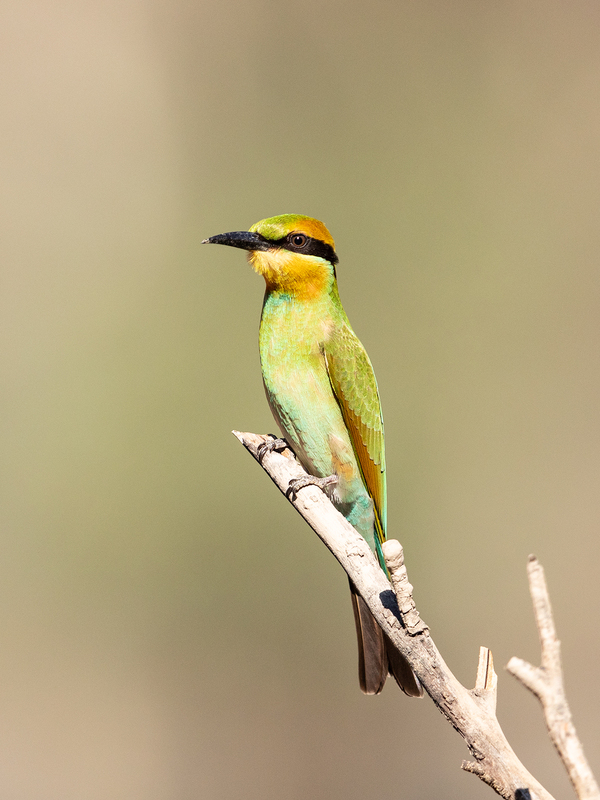 A distinctive features of this species is the long and slender down-curved bill. 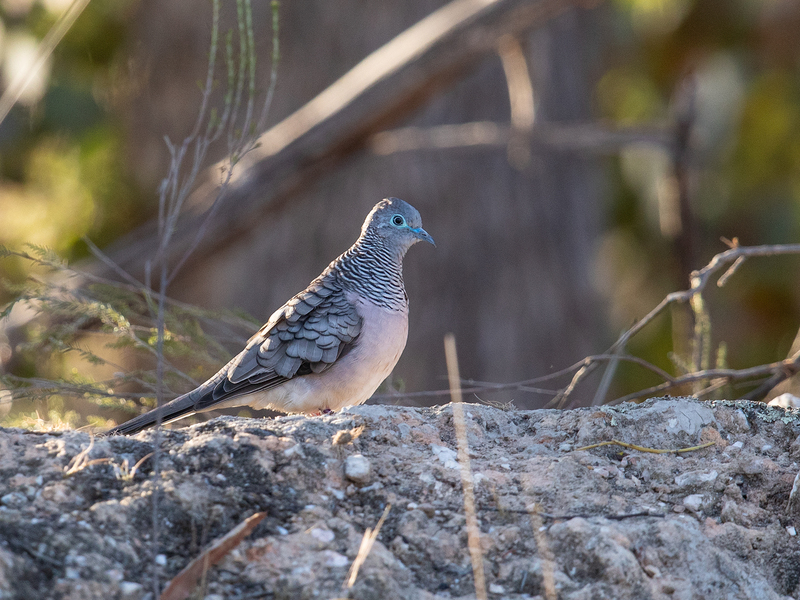 I suspect we’ll see them more often in coming years. 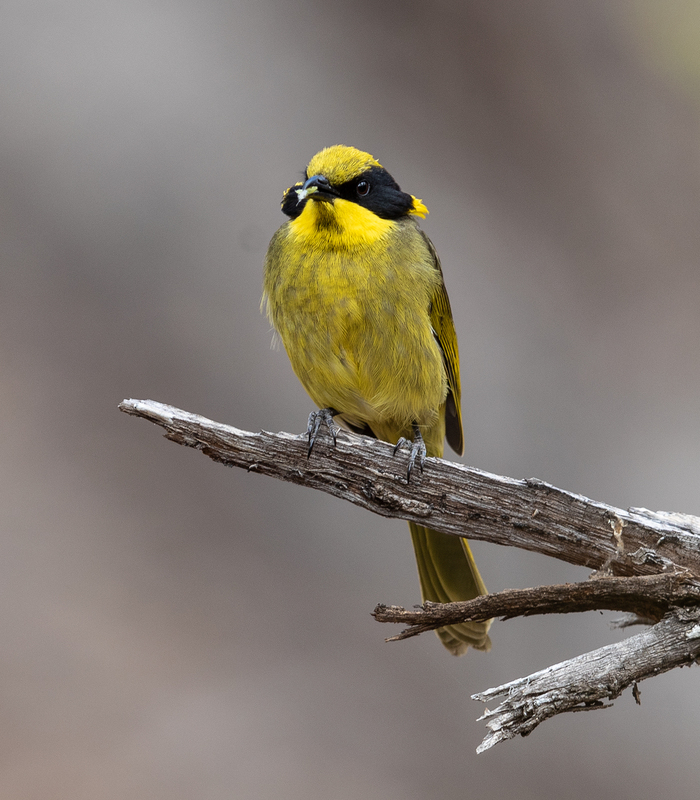 List: Little Lorikeet, Black Honeyeater, Yellow-plumed Honeyeater, Yellow-tufted Honeyeater, Black-chinned Honeyeater, Fuscous Honeyeater, White-naped Honeyeater, Brown-headed Honeyeater, Peaceful Dove, Red Wattlebird, Rainbow Bee-eater, Red-rumped Parrot, Eastern Rosella, Grey Currawong, Grey Shrike-thrush, Welcome Swallow, Dusky Woodswallow, Australian Magpie. 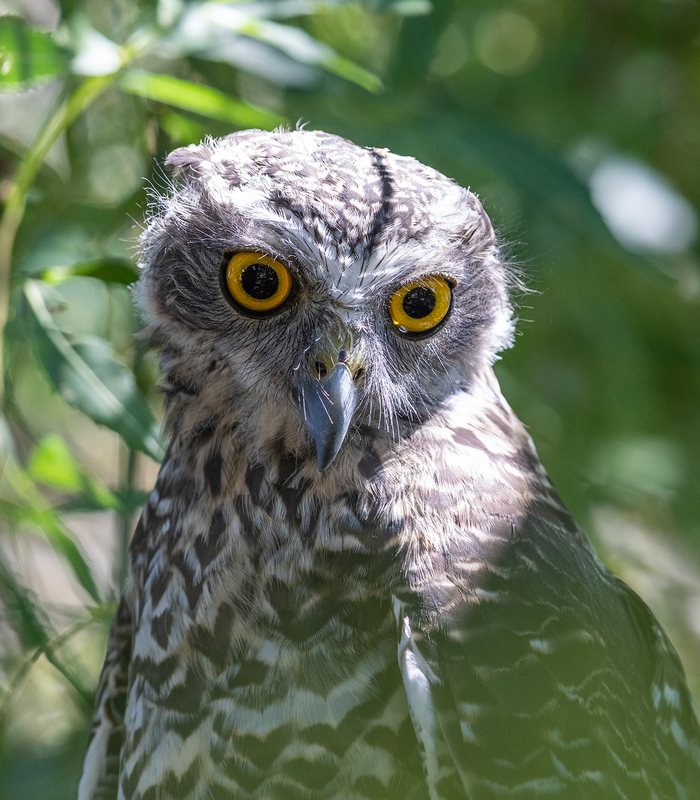 I had an exciting time late on Sunday at the bush dam along South German Track. 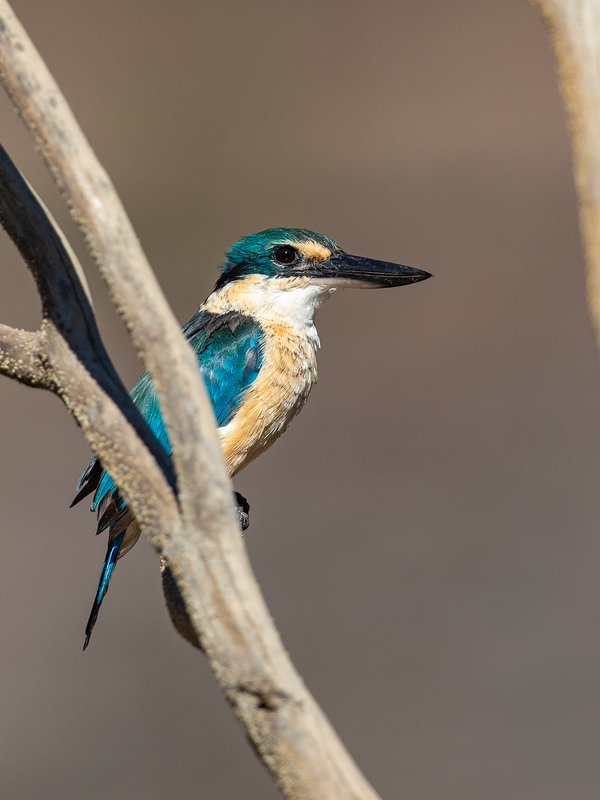 A Sacred Kingfisher zoomed in for a drink, followed by a number of Rainbow Bee-eaters – adult and immature birds. 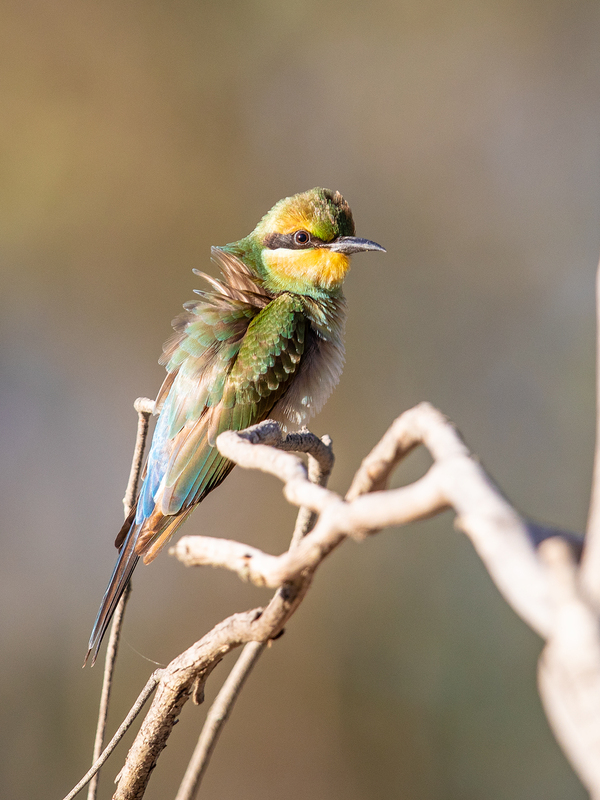 Getting close-up views of these amazing birds is a wonderful experience and the thrill never wanes. 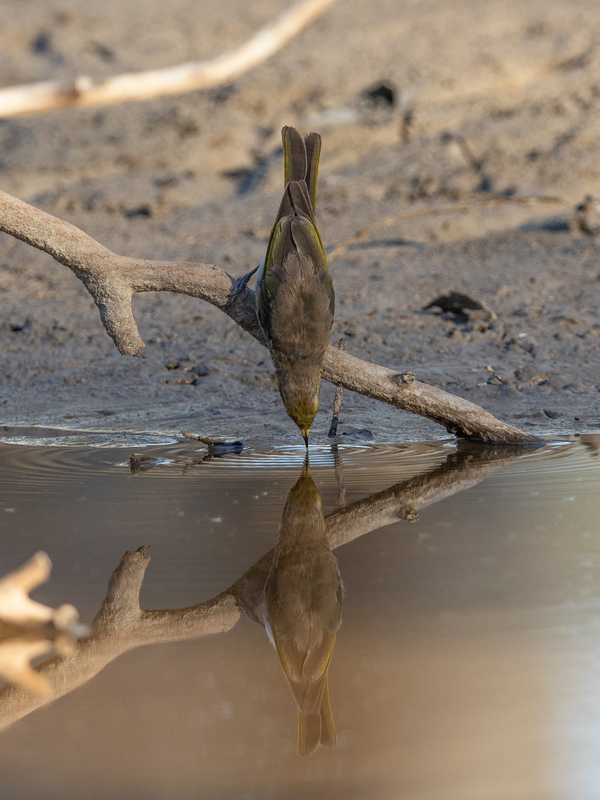 Interestingly, as dusk approached I started to hear numerous calls of Yellow-plumed Honeyeaters – a juvenile came in to drink on the far side of the pool to be followed by an adult. 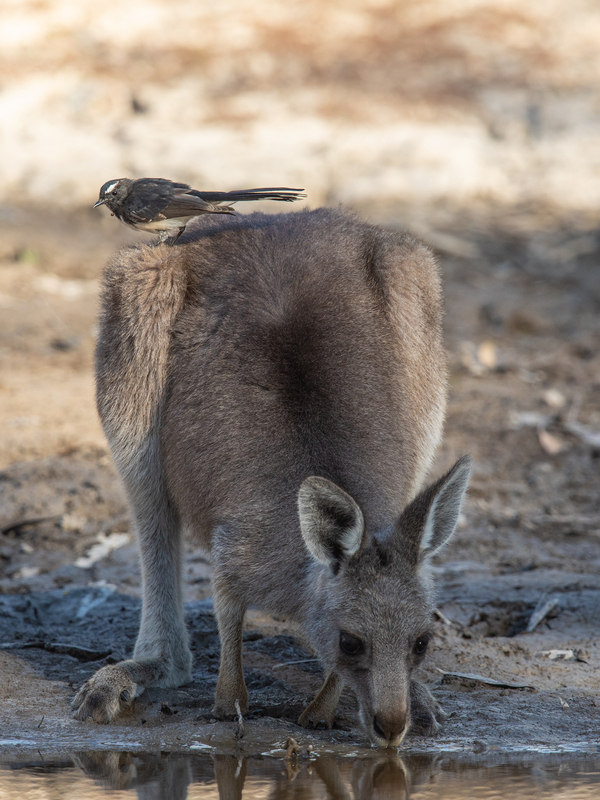 Does this mean they have successfully bred locally or are these dry-country individuals on the move? 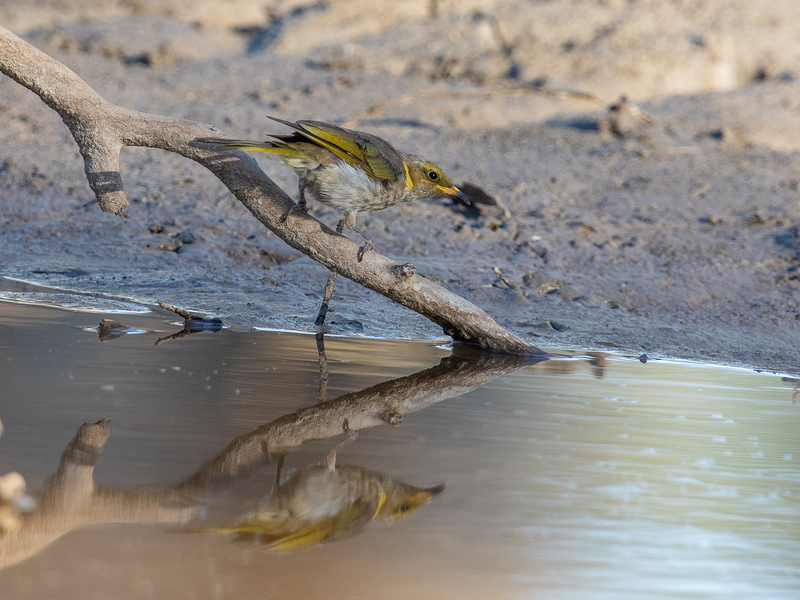 Then a tiny honeyeater arrived at a perch in the middle of the dam. 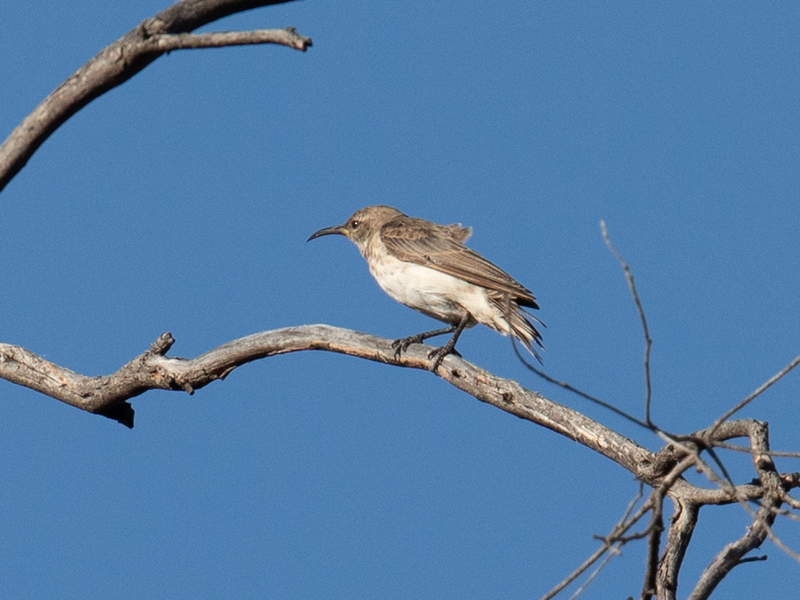 I was too slow to capture it, but did manage a distant shot as it perched again briefly nearby. 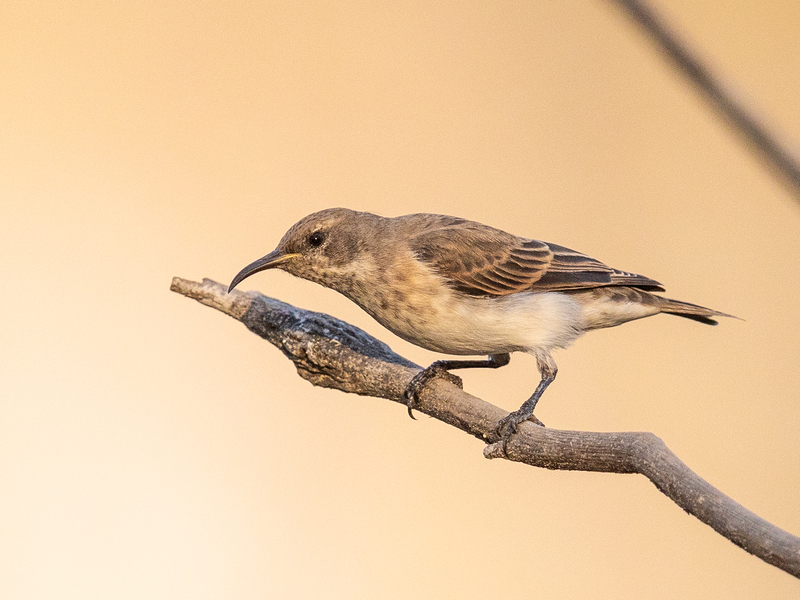 I’m pretty sure this was a juvenile Black Honeyeater … a very rare bird in the Newstead district. 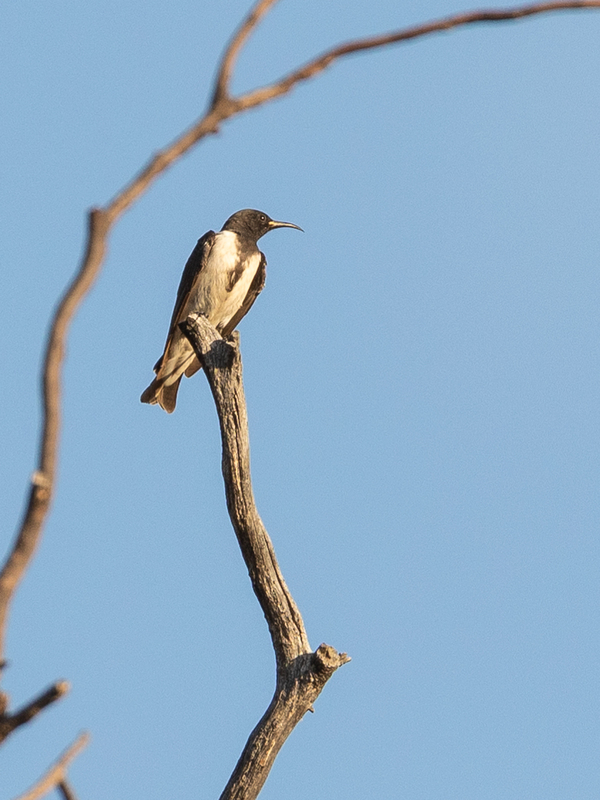 To cap things off nicely a couple of White-backed Swallows appeared overhead! 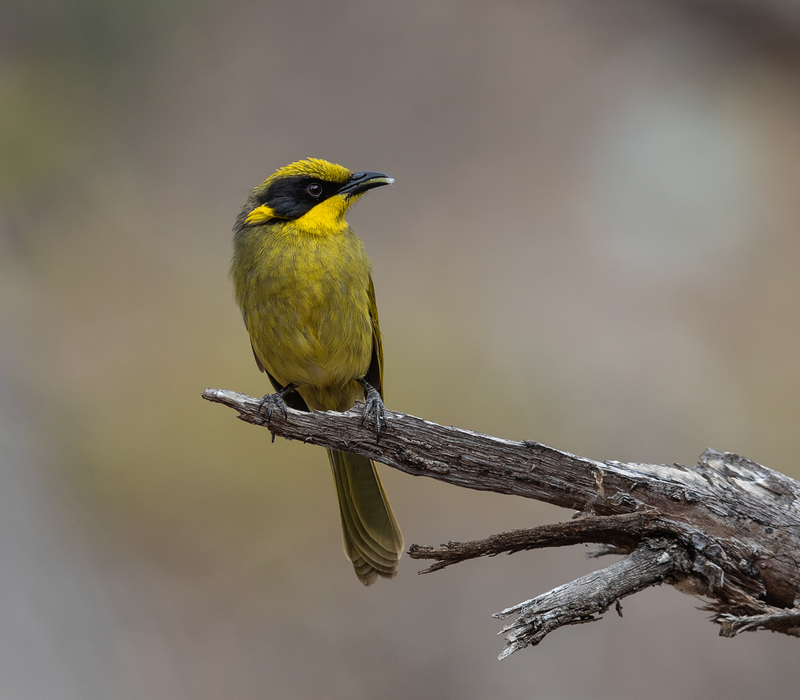 Postscript: On reflection I think the Yellow-plumed Honeyeater is a non-breeding adult rather than a juvenile. 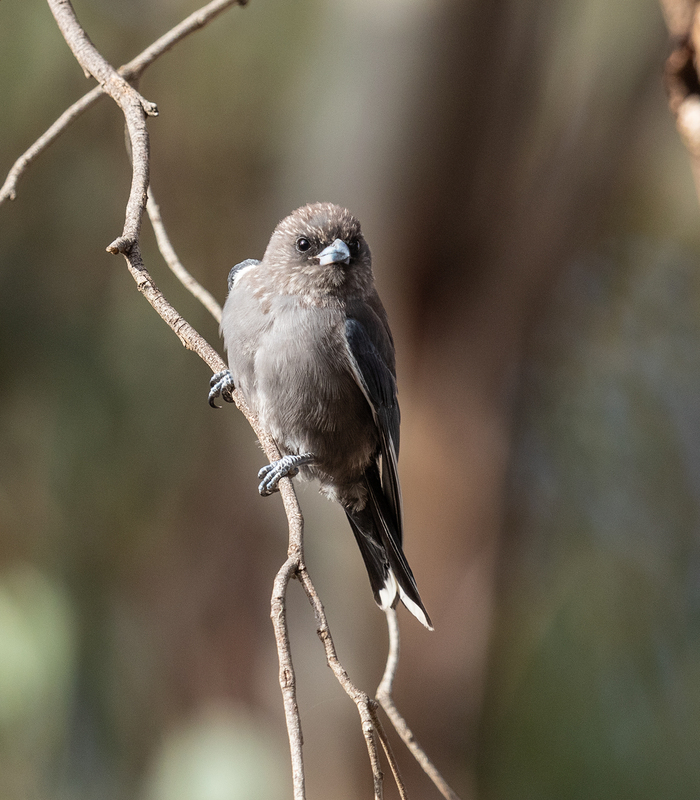 Whilst birds numbers remain low in the local bush there is ample variety to keep me entertained as the summer rolls on. 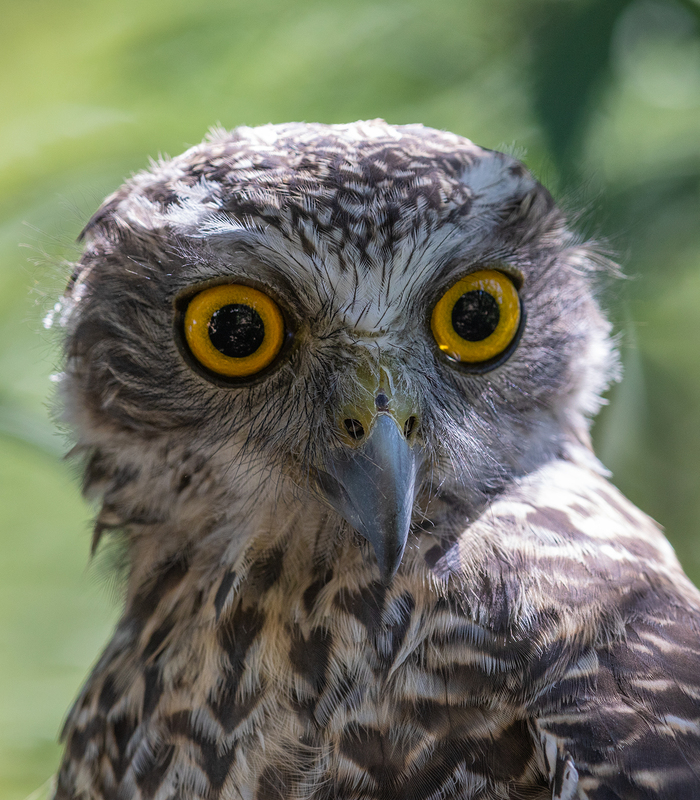 It’s been a tough summer for birds, so any evidence of successful breeding is to be celebrated … especially so when it involves Powerful Owls. 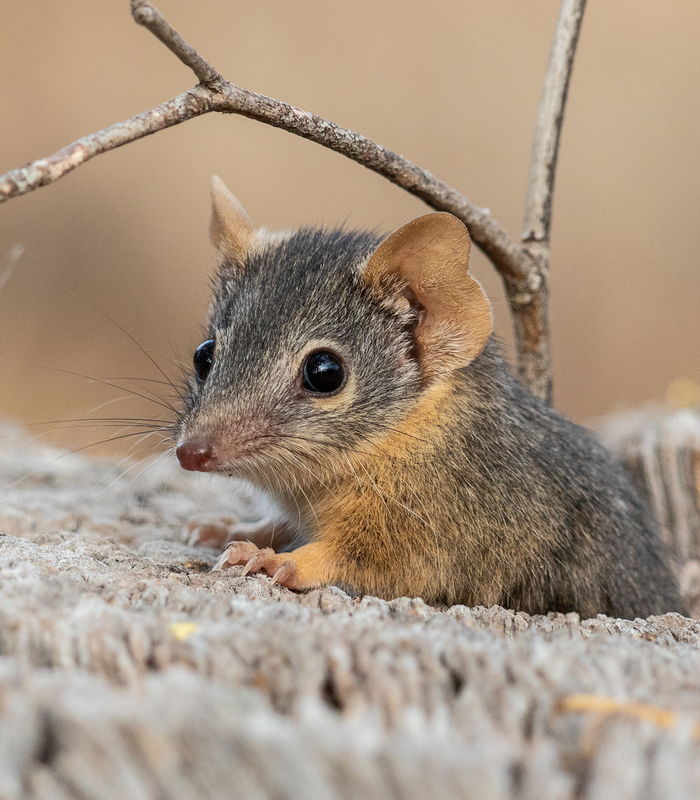 This juvenile is growing fast, but it still has a few months to enjoy with its parents. 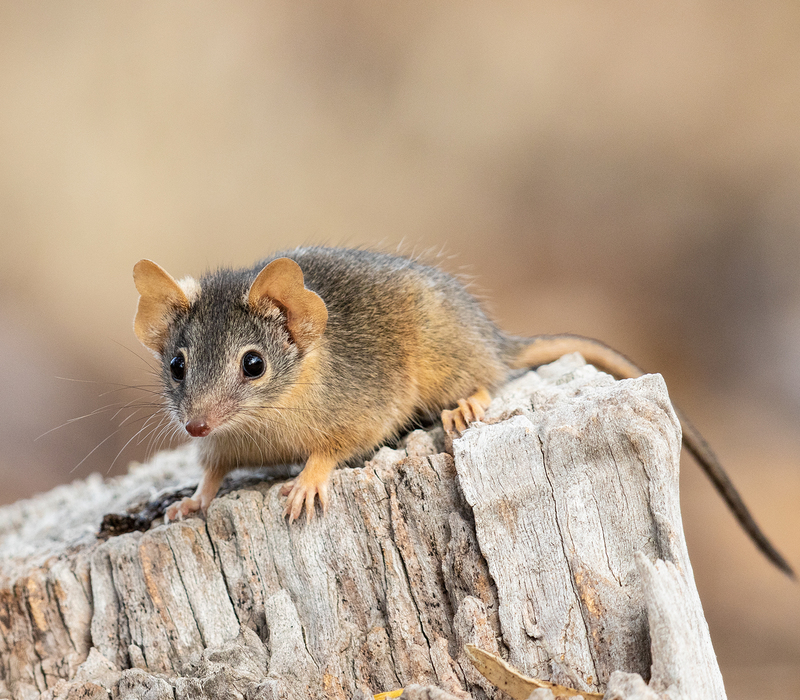 They’ll start nesting again in the depths of winter – in the meantime a steady diet off rabbits, possums and birds will hopefully see it through to adulthood. 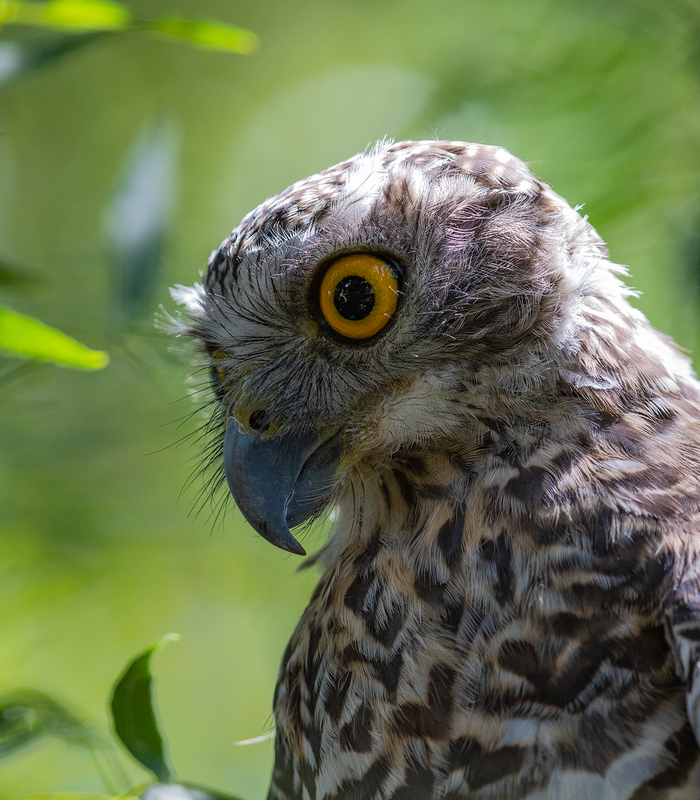 The second image in this set shows clearly why this species is classified as one of the hawk-owls, genus Ninox.